This beautiful curve bar pendant necklace set is fashioned in 18k white gold, encrusted with 54 natural diamonds overall. 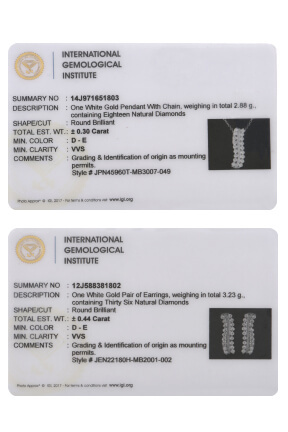 The center row of curve bar is surrounded by a row of white diamonds on each side. The removable pendant hangs on a slim chain part of a four piece set, paired with matching J hoop earrings that secure with a 1.5 mm post screw back closure.